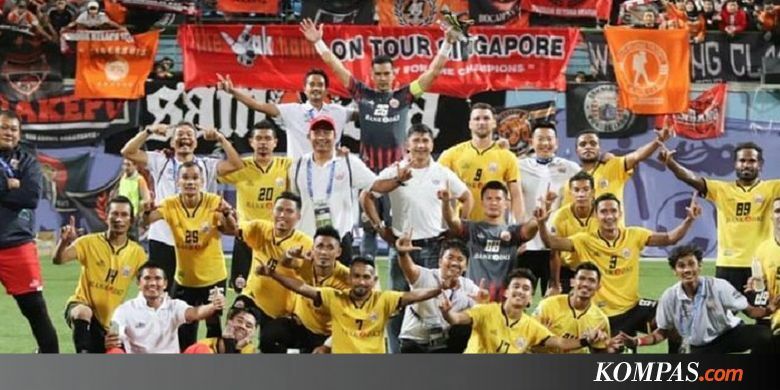 KOMPAS.com – Step Persija Jakarta will be eliminated in the Asian Champions League qualification of 2019. The defeat of 1-3 of the Australian representatives, Newcastle Jets, drove the Kemayoran Tigers' hopes to compete in the club competition in Asia. However, Persija received an assignment in the AFC Cup of 2019. As Liga 1 championship 2018, Persija will represent Indonesia together with runner-up League 1, PSM Makassar. Persija goes to Group G. together with Becamex Binh Duong (Vietnam), Shan United (Myanmar) and Ceres Negros (Philippines). During the group stage, Persija will play three home matches and three away games. Quote from the AFC page, Persija will play the first home game against Becamex on February 26th. On the 12th of March Persija travels to the head office of Shan United in Myanmar. Persija will return to an away match on 3 April. This time a challenge for Ceres Negros in the Philippines. Persija returns on 16 April. This time entertain Ceres Negros. On 1 May, Persija will travel to Becamex in Vietnam. Persija plays the final group stage match by entertaining Shan United on May 15th.